The Cuilcagh Way is a waymarked route that stretches for 33km through a breath taking patchwork of habitats in southern Fermanagh. 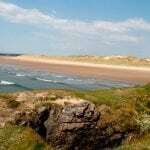 The route can be walked in sections and provides stunning views, fascinating geology, mystifying wildlife, captivating archaeology and natural history: enough to whet anyone’s appetite for adventure. Click here to view the Cuilcagh Way map. The Cuilcagh Way begins in the car park at Cladagh Bridge. Cross the stone stile or pass through the wooden gate and follow the wide stone path into Cladagh Glen. Go through the next wooden kissing gate to enter Marble Arch Caves Global Geopark. The path follows the Cladagh River taking you to a series of steep wooden steps to the left of the arch after which the caves are named. At the top of the wooden steps (121 in total) is a concrete path, which leads you through two kissing gates to Marble Arch Caves Visitor Centre. 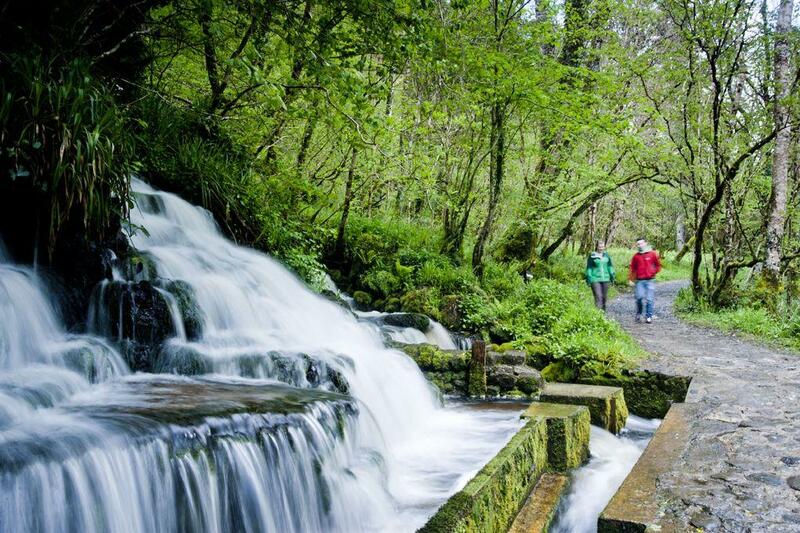 The Cuilcagh Legnabrocky Trail is a linear route which will appeal to walkers with some experience walking in the hills. 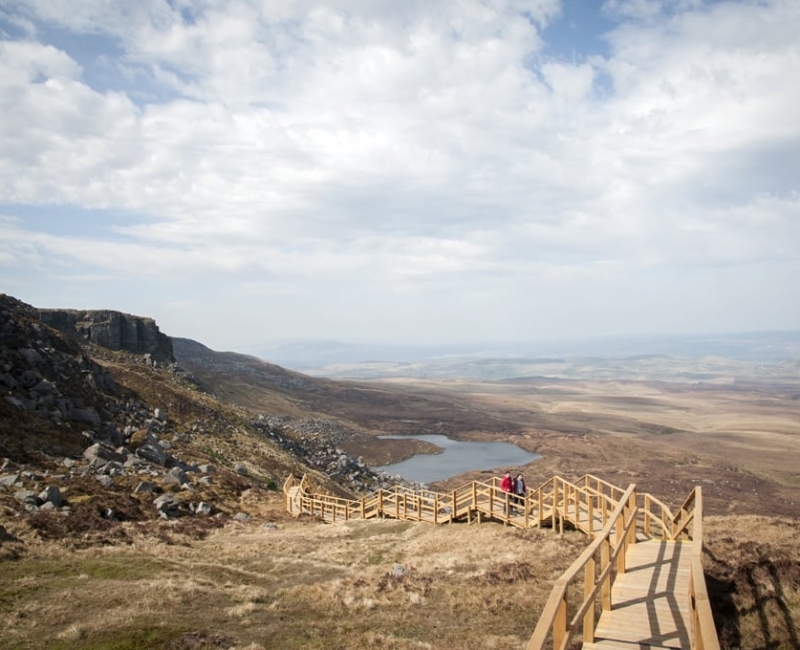 The route is quite isolated and showcases the scenic wilderness of Cuilcagh Mountain. The trail meanders along a quiet farmland track before traversing a wooden boardwalk that consists of a steady climb to the mountain face. Here a stepped boardwalk climbs through steep terrain and boulders fields before reaching the summit plateau. A rough mountain path negotiates the wild summit plateau for a few kilometres before reaching an ancient cairn (the remains of a burial mound dating from the Bronze Age 2,500 – 500 BC) that stands at 666 metres (2,182 ft) above sea level. • It is important to choose a route that suits everybody in your group. You are strongly recommended to walk Cuilcagh Mountain with OSNI or OSNI Discover Series map 1:50,000 Sheet 26 available in most shops and Visitor Information Centres. • Weather conditions on Cuilcagh Mountain can be quick to change & inhospitable all year round making way finding difficult in poor visibility at any time of the year. • Equip yourself for walking in a mountainous area, waterproof clothing, boots, spare clothing, map, compass, first aid, food, drink etc. • Carry a map and stay to the way marked trail. Be aware that mobile reception in the area is poor. Let someone know where you have gone and when you are expected back. • In an Emergency: call 999 or 101 and ask for Mountain Rescue.